Our professional locksmiths specialize in residential, commercial, and automotive lock and key services. 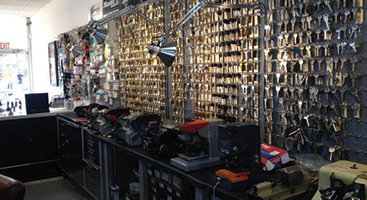 Redlands Lock & Key is the latest addition to our 60-year-old family locksmith business. With a reputation built on decades of excellence and unparalleled customer care, we've become the trusted source for locksmith services across the Inland Empire. 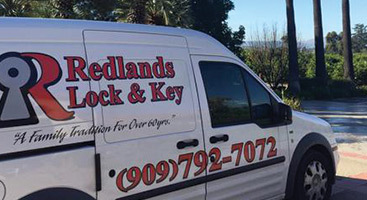 At Redlands Lock & Key, our residential locksmith services include re-keying, lockouts, lock installation, lock and key copies and replacement, mailbox entry, electronic key systems, and more. Contact us for a residential lock and key service today! Providing area businesses with the utmost in building security, we are the top choice for trusted commercial locksmith services. 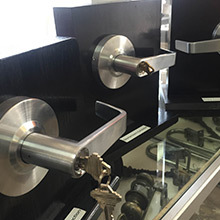 Organizations of all types and sizes turn to us for master key systems, electronic door locks, panic bar installation, and other commercial locksmith services. With today's innovative automotive lock systems, it is imperative that you only use a locksmith that is skilled in modern, state-of-the-art security systems. 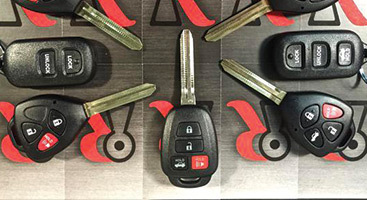 From basic re-keying and key duplication to transponder programming, our team of auto locksmiths can help you gain access and protect your vehicle. Providing quick, friendly and affordable locksmith services during an emergency is our number one priority. We offer lockout services delivered by a skilled, prepared and reliable local emergency locksmith. Never contracted out to strangers, we only use our own employees for your peace of mind. Whether commercial or residential, your lock and key problems matter to us. 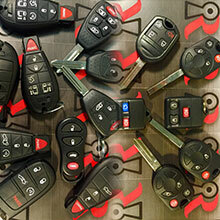 From a simple key duplication to vehicle remote programming, we can do it all. Our locksmiths believe in keeping a positive attitude in any situation, and are dedicated to providing you with top-quality locksmith services and care. Our years of locksmith experience and knowledge give us the upper hand when it comes helping you. No matter when you find yourself in trouble, you can count on us to be there and help you out. With more than 60 years of industry experience, you can trust our knowledge and expertise to exceed all of your locksmith needs. Time-sensitive matters deserve urgent attention, and with Redlands Lock & Key, that is exactly what you will get. With a brick and mortar store, trained technicians, and superb locksmith skills, we are confident in our ability to help you. Our goal is to be your one and only resource for all for your lock and key problems.